Last year InteGrid arrived at the end of another chapter, closing the second year, and now the third year has a high-energy start for the consortium. The third General Assembly, held on January 16th at General Electric’s (GE) Centre of Excellence for the ADMS product line at Livingston (UK), was the starting point for this third year, reuniting the consortium to present the results of the balance of 2018 and the milestones to be achieved this coming year. In 2018, the use cases and architecture of the project were finalised and the three demonstrators launched. 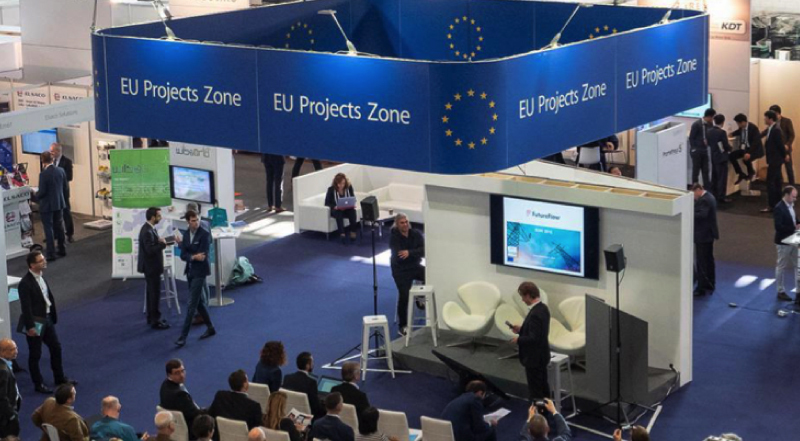 The project also organized several workshops and conferences to engage citizens and to share experiences between consortium partners and other entities in the sector. The work that has been done on InteGrid was shared in several papers and at international events, engaging many in discussions on how InteGrid’s vision will improve consumers’ active participation in the electric grid and how to make the grid more flexible. In the last months of InteGrid’s second year the project has participated in several conferences and workshops, oriented towards the public debate and academic discussion related with the development of smarter grids, indubitably, a central theme for a more sustainable future. 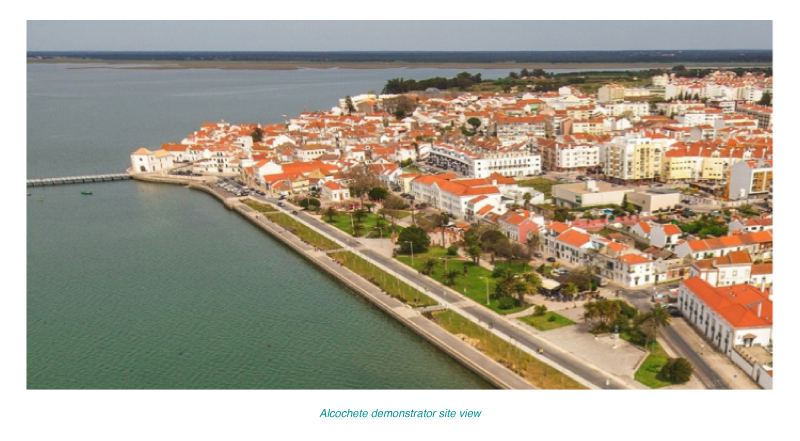 In the 3rd January took place in the Portuguese municipality of Alcochete, the launching of the Portuguese Demo. 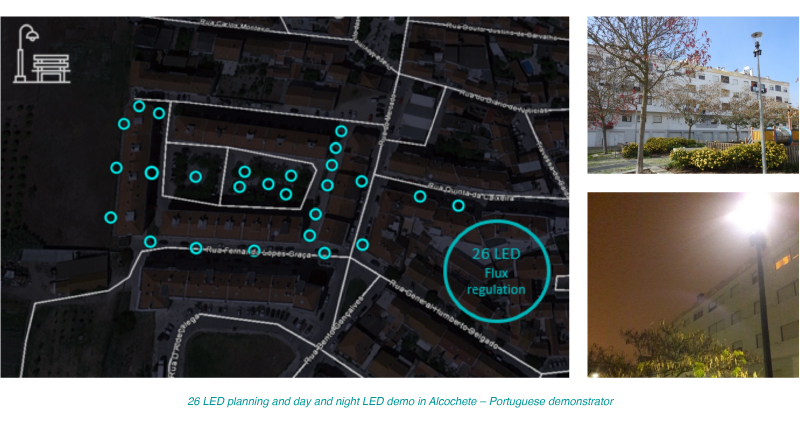 This first step of the Portuguese demonstrator consisted on the installation of 26 LED. This technology can be given set points of illumination and even a citizen can regulate the intensity in each luminaire. Consumption was greatly reduced by the substitution of sodium vapor lamps by LED. 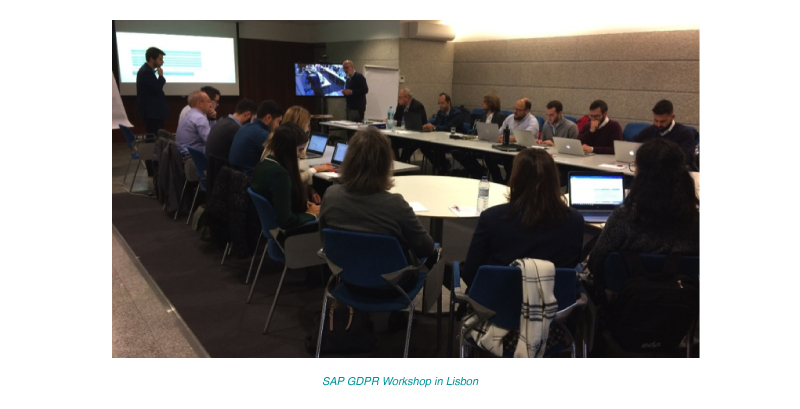 Last 15th and 16th November a GDPR - General Data Protection Regulation workshop organized by SAP, a project partner, took place in Lisbon, attended by around 30 participants from InteGrid Consortium. The main goal of the session was to learn and understand how to prepare the project for compliance with GDPR. GDPR matters for all partners and demos when personal data is included, even in the form of pseudonyms or just a user. For this propose, the audience was divided into three workgroups from different areas inside the project (developers/architects, project management, consumer’s engagement and legal department) that brainstorm about personal data used in the project demos/applications to be then discussed between all the participants. In the end, took place a period of reflection about the next steps to take on this matter. The second day of the workshop consisted of concluding the work started on the first day and the Wrap Up of work done during the whole workshop. The session ended with final Questions & Answers related with GDPR implementation on InteGrid. 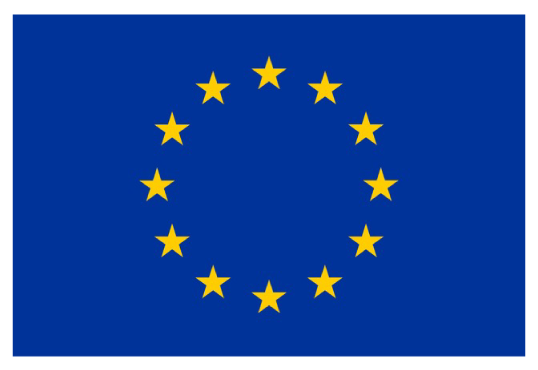 GDPR has become very important for every partner that has a way to collect consumer information. 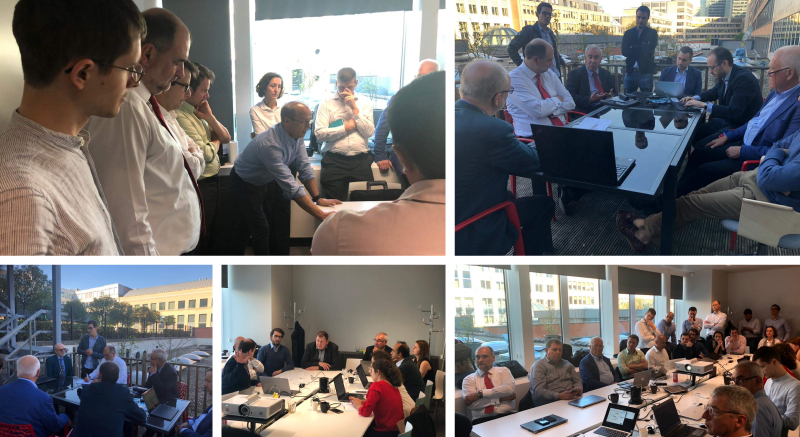 This workshop included legal teams of the consortium and was crucial to challenge our technical and organizational measures, to use the highest-possible privacy principles by default and to match the GDPR regulation. InteGrid understands the importance of improving the protection of our data subjects' rights and to clarify what partners that process personal data must do to safeguard those rights. 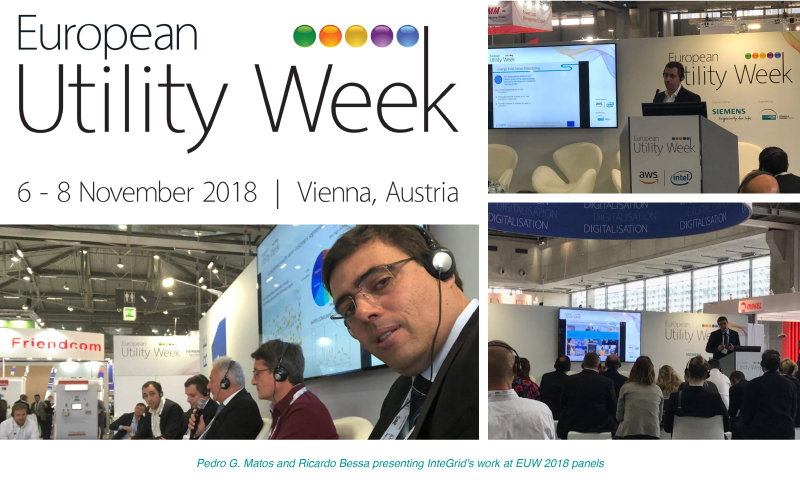 InteGrid returned last year, on the 6th - 8th of November 2018, to the European Untility Week in Vienna - Austria, supporting the EC Bridge Initiative, with Pedro G. Matos, project coordinator, and Ricardo Bessa, technical director. •	Improve the real-time monitoring of low voltage grids by exploring smart meter data. 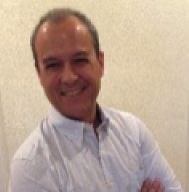 •	Flexibility modelling of wastewater processes for emergency demand response. •	Modeling prosumers multi-period flexibility. 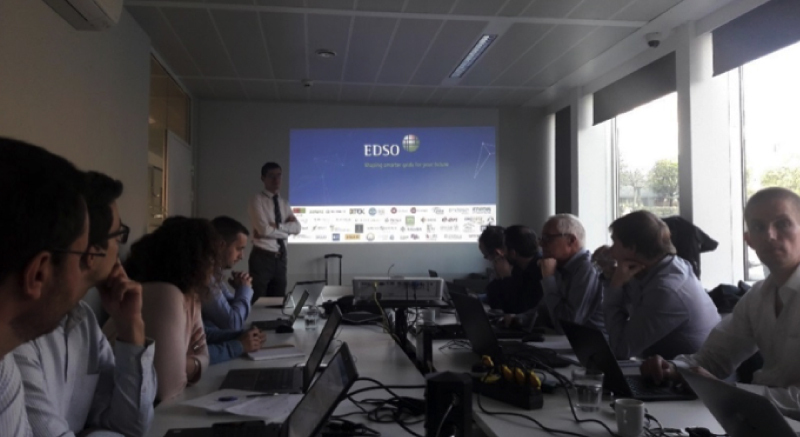 On 10th October, the project had the Advisory Board meeting, in EDSO Headquarters - Brussels, where ideas related with Grid Management, Grid-Market Hub and Grid Users were presented and discussed. The session was divided in three discussion groups with the topic mention above where all the participants had the opportunity to give their inputs these topics.